DUG Insight User ManualFrequently Asked QuestionsFrequently Asked Questions VelocityHow do I create a velocity model from time-depth (T-Z) pairs? There are a few approaches to creating a velocity model from T-Z pairs to be used as a velocity volume in time-depth conversion. For 3D data, we recommend creating a constant volume to define the model size, then scale it using a gain function defined by the T-Z pairs. Select Volume Maths from the list and type a name for the process (see Volume Maths). In this example, let's call it CONSTANT ONE. Input a constant (in this case: 1) as your Formula and configure the Output Extents. In the Process tab, create a New Process and select Gain from the list (see Gain). Give the process a name and click OK. In this example, let's call it T-Z. In the Details Panel, select the constant volume that you have created. 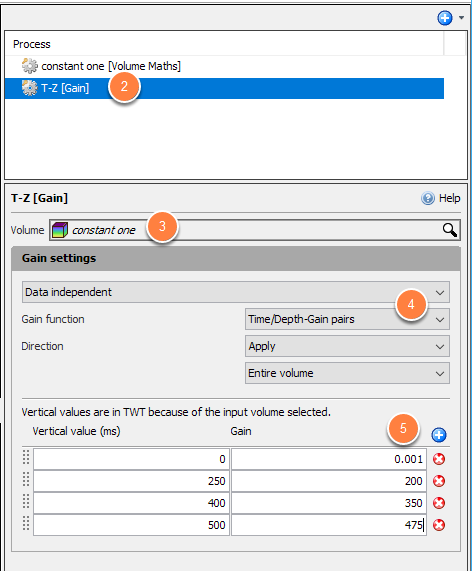 Choose Data independent and Time/Depth-Gain pairs as your gain function. Click the Add icon at Vertical values to apply gains to the volume. The new process volume will be created in the Volume tab. Set this volume's class by right-clicking (or double-click) it in the Volume tab and select Configure. In the Class dropdown box, select Velocity (TVDSS values sampled in TWT) and click OK. Read more about Changing a Volume's Class. Note: At least 2 time/depth pairs must be provided. 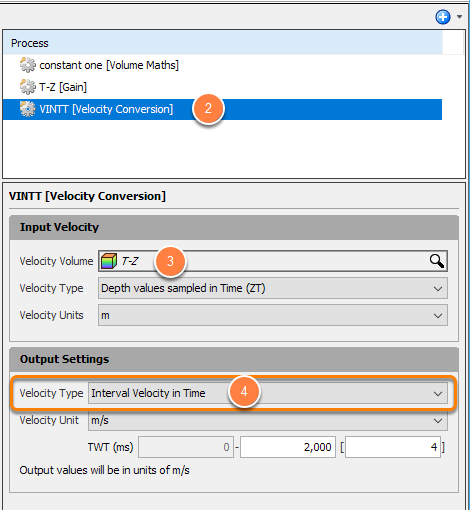 In the Process tab, create a New Process and select Velocity Conversion from the list (see Velocity Conversion). Give the process a name and click OK. In this example, let's call it VINTT. Select the gain function (T-Z) as your Velocity Volume. In the Output Settings, choose to convert the T-Z result to Interval Velocity. 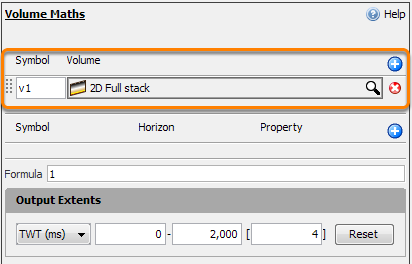 If you are working with 2D data instead, select your 2D volume as an input when creating the constant volume. 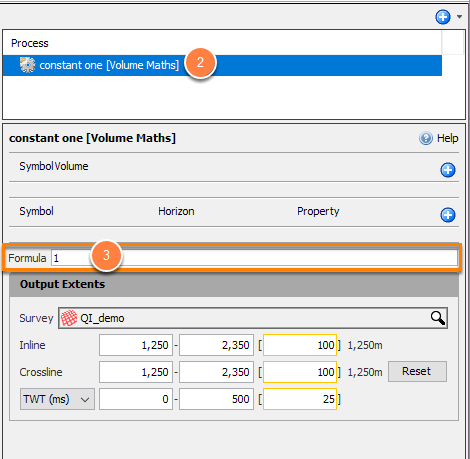 Insight will detect a 2D volume and change the Output Extents section accordingly. The rest of the workflow remains the same as if you were using 3D data (refer to the workflow above). For more information on velocity models for 2D data, see How can I create a simple velocity model for 2D data? Prev: What are some good ways to create synthetic velocity models? Next: How do I use a velocity volume as time-depth conversion at the well?